Marvel tried to protect us, much like The Avengers tried to protect the universe from Thanos. It just didn't work. 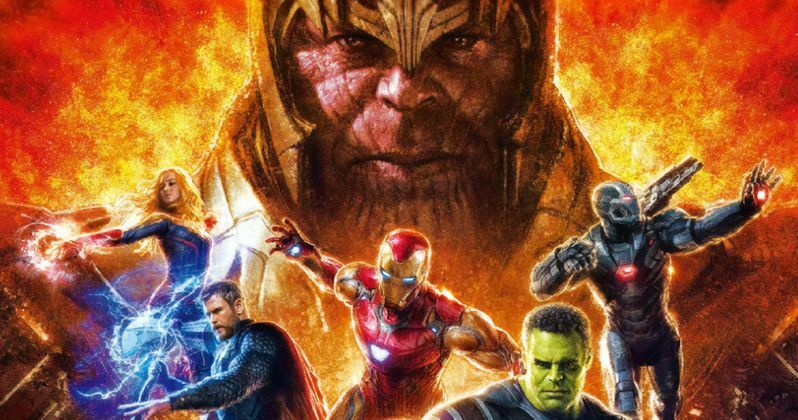 Despite the studio's best efforts, a huge chunk of footage from the upcoming Avengers: Endgame has leaked online, and it carries with it a great many spoilers. We'll say up top that we're not going to put any spoilers in this post. I, much like everyone else out there, want to go into this thing blind. That said, heed this warning, Marvel fans; be very careful scrolling around on social media right now because there are genuine spoilers for this movie out there online as we speak. At the present time, it isn't clear exactly how the leak made its way online, but according to multiple reports the footage that has made its way onto sites like Reddit and Twitter, is legitimate and some say as much as 20 minutes of the movie has been bootlegged somehow. This is particularly concerning and peculiar, as Disney and Marvel have kept an unbelievably tight lid on things. Journalists that have been interviewing the cast and filmmakers on the press tour haven't even been allowed to screen the movie. Unfortunately, despite all of the precautions, it's out there now and it's unlikely that Disney can police every instance of this footage being spread around on social media. Those who have viewed the footage describe it as "spoiler heavy." Gifs, screenshots and detailed descriptions have been circulating heavily on Reddit. Though, fans should be extra precautions when scrolling through Twitter or Facebook now since this information is just out there in the universe. Even though it hasn't been confirmed who leaked the footage, or how it was leaked, one report notes that it was likely someone who was given access to the footage in an official capacity. Assuming that person is found, it's not clear what punishment they will face. This is going to be a true moment in pop culture and it's absolutely crazy that a major studio is releasing it in theaters while keeping almost all of its big secrets wholly intact. That makes it feel extra lame that someone would actually leak this footage online. And for what? To what end? What could they possibly stand to gain? Those who can afford to may want to stay off of social media as much as possible, or at least set up some filters on Twitter. And definitely avoid Reddit as that's where the bulk of the spoilers seem to be hiding. Avengers: Endgame hits theaters on April 26. This news was previously reported by CNBC.